The bad news: Two of the most-hyped games this fall aren’t coming to PC. Not yet anyway, and maybe not ever: Red Dead Redemption 2 and Insomniac’s Spider-Man. But now for the good news: A staggering number of excellent games are coming to PC this holiday season. Like seriously, too many for any one person to play. We’ve rounded up 15 of the PC games we’re most looking forward to this fall. While a few of the usual heavy hitters make the list (Forza), we’ve also tried to pick out a few surprises, or games you might not have heard of, like The Occupation. Because hey, you definitely know Shadow of the Tomb Raider is coming out this fall, but have you heard the good word about Outer Wilds? Six years ago when Telltale put out The Walking Dead, it felt like a revelation. Why not take the story parts of an adventure game, present it cinematically, and leave out most of the puzzles and the usual adventure game busywork? The formula’s been done to death since, not least by Telltale itself, but all these years later I’m excited to see what a “Final Season” of The Walking Dead looks like, and what that means for fan-favorite protagonist Clementine. It’s been a long and tough journey, and I hope Telltale can pull out a proper send-off. The Walking Dead: The Final Season ($20 on Humble) starts August 14 and presumably goes through the end of the year, or perhaps early 2019. The late ‘80s and early ‘90s were this weird and wonderful time where it seemed like everything was ripe for a PC simulation. Cities? Sure, we’ve got SimCity. Ants? SimAnt. Elevators? SimTower. Then there was Theme Hospital, one of Bullfrog’s (RIP) best games, and a cult classic worth revisiting. Or even remaking, as two decades later some of the original Theme Hospital talent is back working on a spiritual successor called Two Point Hospital ($35 on Humble). And...yup. It’s Theme Hospital. Fully 3D now, and with a much better interface, but you’re still building up armies of nurses, doctors, receptionists, and janitors to cure outlandish diseases like “Cubism” and “Light-Headedness.” And yes, in the latter the patient’s head does turn into a light bulb. It’s good fun, and a great update to a PC classic. Fool me once, shame on you. Fool me twice, shame on me. Fool me however many times Destiny 2 has fooled me and—wait, why is this on the list again? I honestly am looking forward to Destiny 2’s massive Forsaken expansion ($40 on Battle.net) though. Maybe it’s naive, but everything Bungie’s shown so far as been heartening, from a shorter time-to-kill to more flexible load-outs to the creative Gambit mode we tested at E3. The latter is the most fun I’ve had with Destiny 2 in ages. Assuming Bungie can pull off a halfway decent story, this has all the potential to be the Taken King-style reboot Destiny 2 needs. And sure, that’s a huge assumption. I’m hopeful though. Inspiration is circular. A few years back, Legend of Grimrock drew upon Bard’s Tale and other long-dormant dungeon crawlers of old to resurrect the genre for a modern audience, complete with graph-paper map. And now? A few years on, and Bard’s Tale IV is clearly drawing from Legend of Grimrock to create its own modernized sequel. Grimrock and...Hearthstone? Yes, this is certainly not a traditional dungeon crawler, opting for mana-based combat and even free-roaming exploration. Strange. And yet the classic dungeon crawler feel pokes through, with labyrinthine halls packed full of secret entrances and fake walls and puzzle after puzzle. And it’s InXile, so hopefully we can count on the writing being pretty damn good. One more for the “Crowdfunding Revival” success pile, hopefully. Every time I’ve seen Pathfinder: Kingmaker ($40 on Humble) I’ve come away overwhelmed. On the surface it looks like an Infinity Engine-style isometric CRPG. On the surface. An effort’s been made to adapt the whole Kingmaker module from Pathfinder though, and I mean the whole thing. Not a streamlined version, not a version that cuts corners for the digital release. It’s an incredibly ambitious project, from the freeform leveling system to a story that spans huge stretches of time and allows you to reshape your kingdom as you see fit—and all from a first-time developer. If they pull it off, it could be one of the best CRPGs of all time. That’s a big “if,” though. “It’s Life is Strange 2!” I thought, when Microsoft ran a Dontnod trailer during E3—and then it wasn’t. It was a free-to-play prologue of sorts, The Awesome Adventures of Captain Spirit. But surprise, Life is Strange 2 ($40 on Humble) proper was announced scant weeks after E3, and will apparently include characters from Captain Spirit in some capacity—though not as main characters. What does this all mean? I have no idea, except that in September the sequel to the best Telltale-style adventure of the last few years will roll out its first episode. New setting, new characters, new slang. Believe me, I’m hella excited. On the one hand, four entries in and the Forza Horizon formula’s gotten a bit stale. On the other...well, it’s all we’ve got. The Crew 2 certainly didn’t satisfy my arcade racing needs, and it’s looking dubious whether OnRush ever gets a much-deserved PC port after its dismal console sales and a round of layoffs. So Forza Horizon 4 it is ($60 on Amazon). This year the series returns to Europe, or England to be exact. And that’s about all you need to know, because otherwise it looks like business as usual: Lots of cars, big open world to explore, great music, and iconic set-piece races against jets or hot air balloons or probably Queen Elizabeth II riding a dune buggy or something. Who knows? Assassin’s Creed: Odyssey ($60 on Humble) looks like it might take a similar tack, and that’s got me excited. Set in Ancient Greece, there will be the usual nods to history—our E3 demo had us chatting up Socrates, for instance. But it also looks like elements of Greek mythology will be present, as evidenced by the minotaur at the end of the E3 trailer. Excited to see how far the series goes in that direction. Back in 2016 we awarded Battlefield 1 our coveted Game of the Year prize. Sure, it wasn’t the strongest year for game releases, and in most other years I don’t think it would take top honors—but it was a fantastic shooter nevertheless, and its vignette-style War Stories campaign was a wonderful departure from the usual Battlefield bloat. Take those ideas and in Battlefield V ($60 on Amazon) transpose them to the iconic underpinnings of World War II? Yeah, that’s an easy sell for me, especially since Call of Duty: WWII barely scratched that itch last year. And remember: There’s no more Battlefield Premium. All post-release maps and modes will be free this year. Fingers crossed whatever monetization scheme EA replaces it with doesn’t sink Battlefield V the way it sank Battlefront II last year. 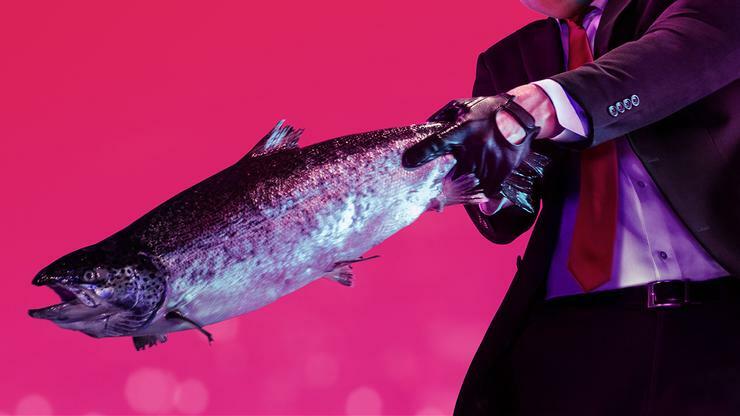 As I said at E3: I’m not 100 percent sure why IO decided to brand Hitman 2 ($60 on Humble) a full-fledged sequel and not another “season,” even without an episodic release schedule. It just feels like “More Hitman,” full stop. I mean that in a good way, though. Hitman was one of 2016’s best games, each level an ultra-detailed and elaborate puzzle box where the solution is always some creative form of murder. When Square dumped IO I feared the worst, but the breakup appears to have been more amicable than anyone could’ve imagined, and I’m looked forward to Agent 47’s return. Another series I feared was lost to time, when THQ shuttered I assumed we’d never see another Darksiders. And we didn’t, for a long time. This November, though, we’ll finally get Darksiders III ($60 on Humble), telling us what Fury was up to when the Apocalypse occurred. I’m not 100 percent sold yet, especially since I didn’t love the loot-grind in Darksiders II as much as the Zelda-like trappings of the original. I want to believe though, because I love the Darksiders world and its strange pulp lore, and I’m hoping against hope the long wait pays off. Darksiders might always be a cult classic series, but I’d love it to be a cult classic series that eventually got a proper ending. Let me guess: bigger map, even more vehicles and weapons, and a whole lotta stuff to blow up. Sometimes you’re just looking for the simple pleasures, and the Just Cause series is one of the simplest, an entire game predicated on explosives and physics tech. Like Goat Simulator, with a hundred times the budget. The gimmick in Just Cause 4 ($60 on Humble) is weather. Blizzards? Check. Tornadoes? Check. Sandstorms? I guess that counts as weather, so sure. Also the enemy AI is apparently smarter, though it’d be hard not to be—those soldiers in Just Cause 3 are dumb as bricks. Mostly looking forward to the old grappling hook, parachute, C4, explosion loop though. Like always. No Man’s Sky has been on a sort-of redemption arc lately, with this summer’s huge NEXT update fixing many of the game's perceived issues. But I still find its procedurally generated worlds sort of lifeless and boring. Outer Wilds may be the game for me, then. Instead of a sprawling universe of “infinite” possibility, Outer Wilds takes place in a single, ultra-detailed solar system trapped in a time loop. Like Groundhog Day, the solar system resets every 20 minutes when the sun goes supernova. Time passes during that 20 minutes, with locations changing around you—closed passages opening, or entire cities being buried by sand. It’s presumably packed full of secrets to uncover, as long as you’re in the right place at the right time. Fascinating, and after a long wait Outer Wilds is finally due to release sometime this year. Okay, so it’s XCOM set after the nuclear apocalypse, and your main characters are a six-foot duck and a boar carrying a shotgun. Good? Good. In all seriousness, even the Mutant Year Zero team throws around XCOM comparisons, so why shouldn’t we? It’s almost identical at times, down to the layout of buttons on the user interface (and their accompanying keyboard shortcuts). There’s a neat stealth mechanic that lets you pick enemies off one at a time, as well as a more freeform gear system, but at its core this is just more XCOM with a stranger aesthetic. And who’s going to complain about more XCOM? Certainly not I. Another game with a real-time element and a tight focus, The Occupation has you playing an investigative journalist in the late ‘80s. An explosion’s killed dozens of people, and nobody’s been brought to justice. It falls to you to pick up the case. The catch: You have four real-time hours to solve it. The decisions you make during that time, the leads you pursue, the amount of time you spend reading documents and so on—it all determines what information you get, and how far you’ll get in the case. Expect to play this one at least twice, I think—once to get the basics, another to execute the same plan but twice as fast and with a better handle on the information. Maybe a third time, or a fourth, I don’t know. It looks incredible though, with that vague BioShock influence married to a combat-free detective game. An actual detective game, I might add. I’m very excited for this one.